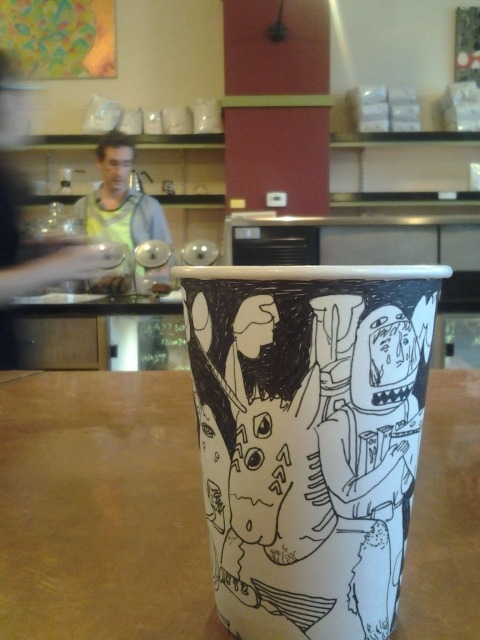 here is a quite nice paper cup by greg, at dwelltime. is art on paper cups in the zeitgeist? i stopped by the saatchi gallery last week and saw a clump of used coffee cups by paul westcombe covered in ink and colour drawings.